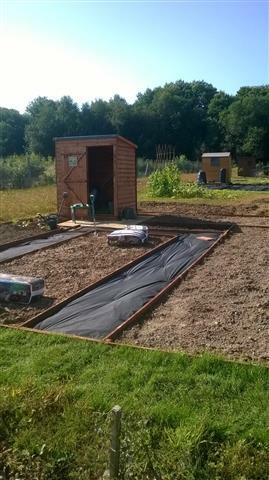 The allotment plots up and running! 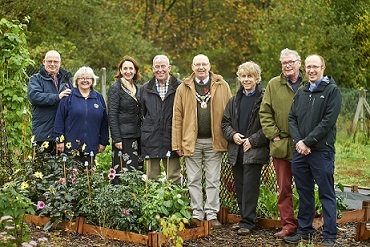 Against all odds and bad weather on the day there were smiles all round for the grand opening of Kings Hill Parish Council's new allotment site on Saturday 7th November. The opening saw celebrity and veteran horticulturist Mr Jim Buttress, Patron of South and South East in Bloom and a judge on the TV series 'The Big Allotment Challenge', the Mayor of Tonbridge & Malling, Councillor Owen Baldock and the Mayoress Mrs Christine Balkdock attend the ceremony, together with a number of Kings Hill Parish Councillors. Mr Buttress opened the site by cutting the ribbon and gave advice to the allotment tenants who were able to attend the opening ceremony. Refreshments of mulled wine and carrot cake were enjoyed in the warm and dry of the Sports Pavilion. The new Kings Hill allotments are now fully complete and allotment holders are starting to take up and work their plots. An official opening ceremony for Kings Hill is to be organised - date to be confirmed. 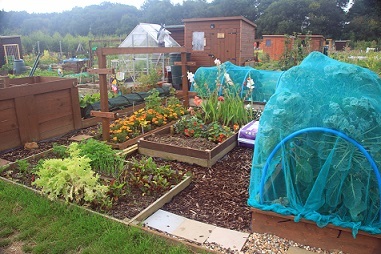 Allotment holders are working very hard on their allotments and Kings Hill Parish Council are sure that that this time next year all their hard work will pay off and they will have a wonderful array of fruit and vegetables. The construction of Kings Hill Allotments is well underway. 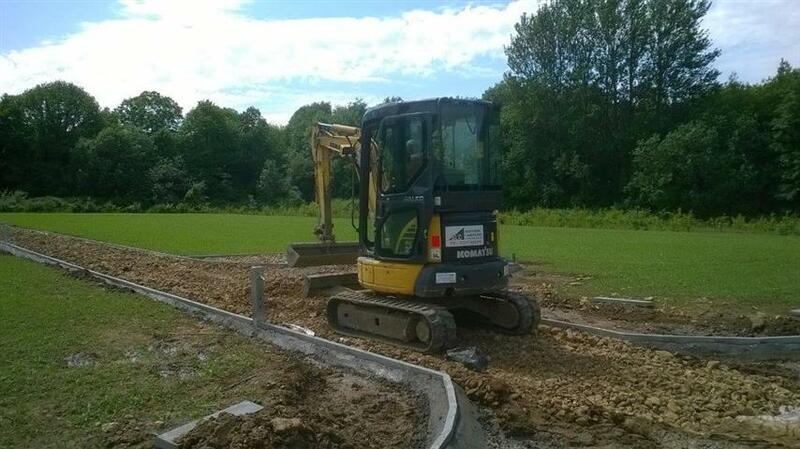 Since the ground preparation was carried out. The new access road in the site has been constructed and the water supply and standpipes installed. The next phase will be the installation of the rabbit proof fencing and then exterior fencing. It is hoped that the construction will completed by the end of June early July weather permitting. Works are underway on the new Kings Hill Allotment site. The top surface has been ripped, along with cultivation works to allow air into the soil tone and detritus removal has been carried out with further works taking place over the next 4 to 5 weeks. Further updates will be posted on this website as they take place.